Adapted from the classic Grimm fairy tale, The Muppet Musicians of Bremen was the third and final television special filmed for the Tales From Muppetland series. In this version of the story, four barn animals fled their evil masters and became a traveling Dixieland band. Kermit, formerly an abstract character but now firmly identified as a frog, narrated the story. While by this time Kermit had a clear animal identity and “look” to him, many of the other classic Muppet characters had been designed as more abstracted versions of real animals, or did not necessarily resemble any particular animals at all. The designs of the puppets featured in The Muppet Musicians of Bremen – Leroy the Donkey, Rover Joe the Hound Dog, T.R. the Rooster and Catgut the Cat, along with additional animal characters – set the design standard for future Muppets that would more closely resemble realistic animals. Some of the more realistic animal designs from The Muppet Musicians of Bremen became the basis for background characters in other Henson productions. A chorus of chicken musicians played a role in Bremen, the designs for which resemble the chickens featured both onstage and off in The Muppet Show, including Gonzo’s favorite, Camilla. Rizzo, the Rat who hung around backstage in The Muppet Show, was actually a puppet that was, in fact, hanging around from his days as a character in Bremen, designed by John Lovelady. And while dog characters like Rowlf had a long history in Henson appearances and commercials by this time, Rover Joe the Hound Dog in The Muppet Musicians of Bremen was much more realistically designed. 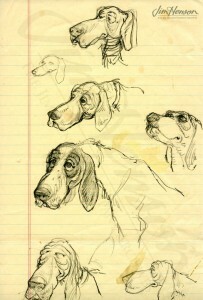 Michael Frith, future art director for Jim Henson Productions, was hired as a free-lance artist to design Rover Joe while he was working at Random House on Sesame Street books. 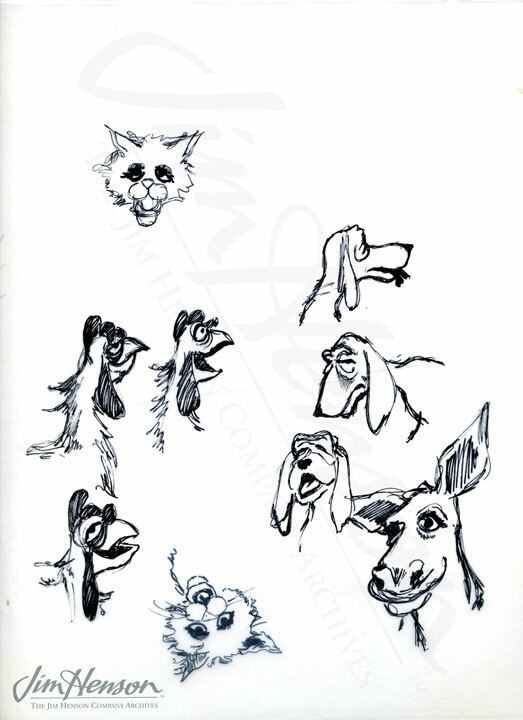 Bonnie Erickson’s animal head sketches for promotional use in The Muppet Musicians of Bremen, 1971. 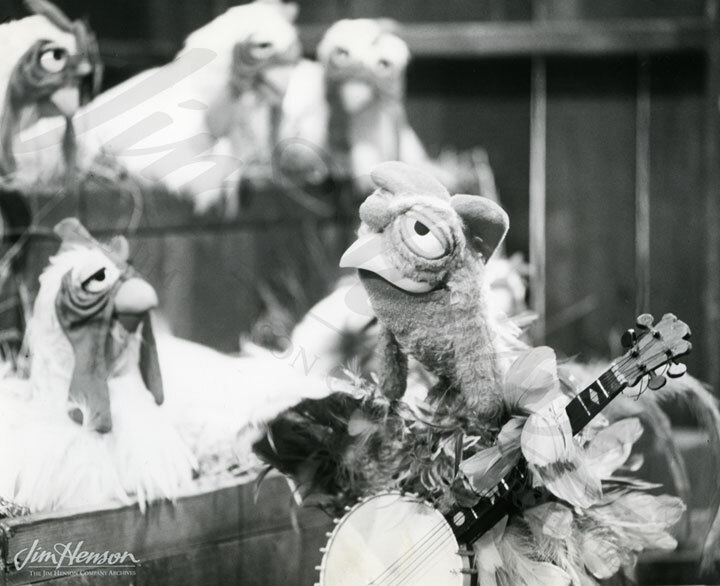 Chicken musicians in The Muppet Musicians of Bremen, 1971. 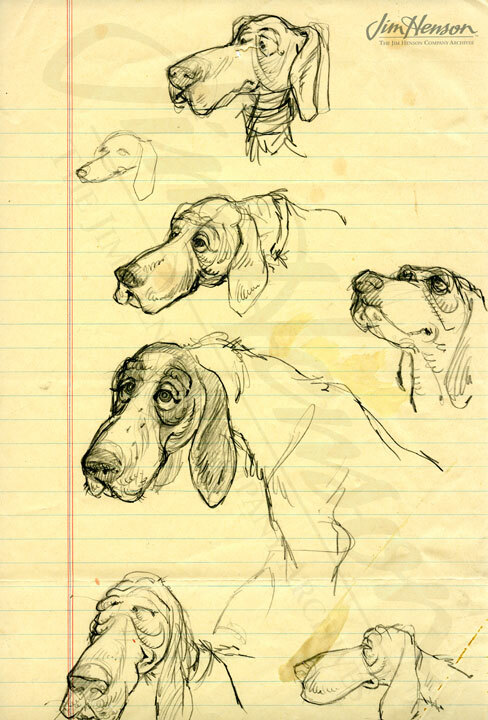 Michael Frith’s Rover Joe the Hound Dog character designs, 1971. Rover Joe the Hound Dog, T.R. 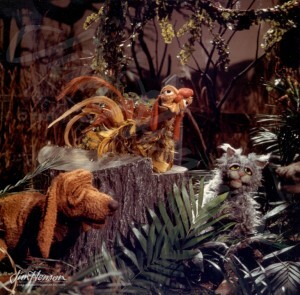 the Rooster and Catgut the Cat in The Muppet Musicians of Bremen, 1971. This entry was posted in 04-April '72, 1972, Muppet Musicians of Bremen and tagged Catgut the Cat, John Lovelady, Kermit, Leroy the Donkey, Michael Frith, Rizzo, Rover Joe the Hound Dog, T.R. the Rooster, Tales from Muppetland. Bookmark the permalink.